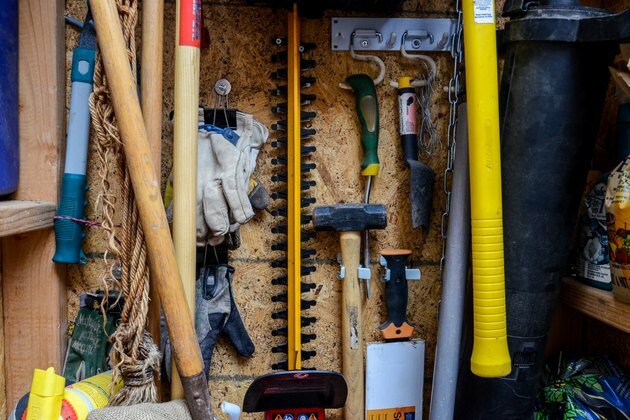 Storage sheds give you a protected place to keep all of your garden tools safe, but the storage area can quickly become a jumble of equipment if you don't keep it organized. 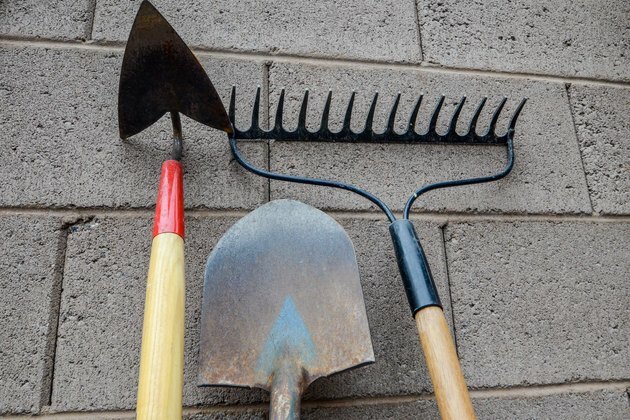 Specific storage spots and organizing tools help you keep your shovels, sprayers, spades and other garden tools clean, dry and in working order. 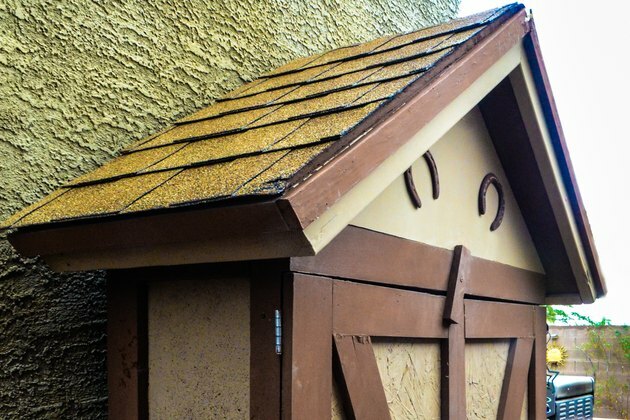 If your storage shed is a cluttered mess, the best option is to pull everything out and start from scratch. Throw away any broken items you no longer use as you empty the shed. You can also separate any old garden tools and supplies that you no longer use to donate. Clean out the shed after you empty it. Once the shed is empty, check out any existing shelves and storage spaces. Reinforce any loose shelves, and remove any old organizes that no longer work for you. Sorting out the items from the storage shed gives you the chance to decide how to organize them. Putting similar items together makes things easier to find when you go in the shed. For example, all of your potting materials kept in one area simplifies the spring planting process. Make piles, such as lawn care tools, garden tools, garden chemicals and planting supplies. Plan a general area for each type of item within the storage shed. Make a sketch if it helps you. Organizers that fit the specific items you store in the shed create a custom storage space for your garden items. Hooks on the wall work well for long-handled tools. 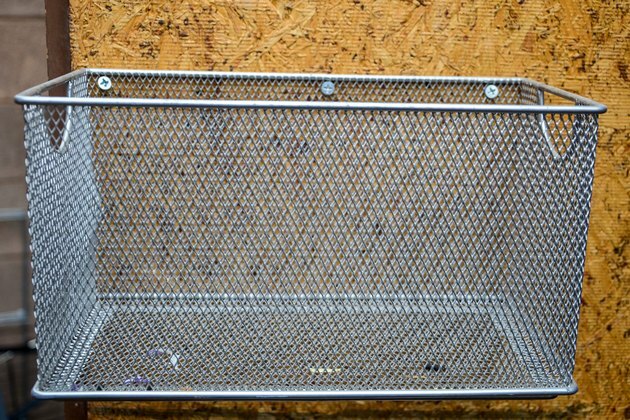 Pegboards hold small hand tools in place. Shelves are a must for a storage shed. The shelves give you a place to hold smaller items. Use baskets or plastic containers to keep small items together. If the shed is large enough, include a work bench. Place items in the organizers so they are easy to see and reach. Place the labels forward so you can see what is in each bottle, for example. 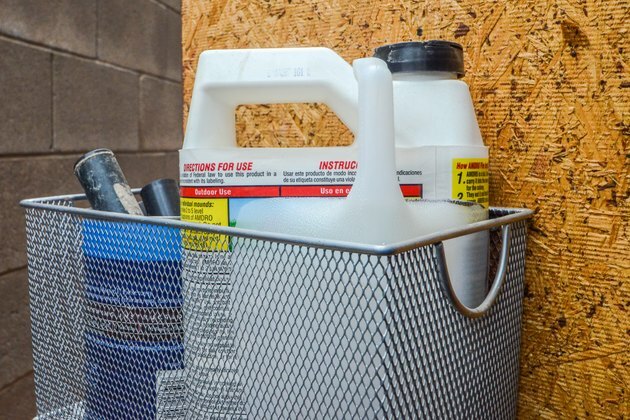 A locked cabinet is the best spot for garden chemicals. Tools that you use frequently should go toward the entrance of the storage shed so you can grab them quickly. Once you're satisfied with the locations you choose for each item, add labels to the shelves and drawers so you know what is inside.